It’s sometimes difficult to wrap the mind around what it would really be like to leave the Earth and voyage to Mars. Well, back on May 5th the Gazette reported on the launch of the NASA Mars InSight Lander, and now that lander is several weeks away from landing on the red planet! The landing is projected to be on November 26th, with touchdown taking place at 11:47am Pacific Time, so set your watches. The lander will utilize a supersonic parachute once it enters the martian atmosphere, and according NASA Chief Engineer Rob Manning, will decelerate from 12,300mph to 5mph at which point retro rockets will bring it to a soft landing on Elysium Planitia. Remember that the intended mission of this lander is to study the interior of Mars, including gaining insight into Marsquakes. Through this research, additional knowledge about planetary formation and interiors will be gained, allowing us to better understand our very own homeworld. For all of the additional information you can possibly want on the landing, be sure to check out the official Press Kit. It’s such a wonderful thing when electronics intended to last for months end up lasting years. One of my personal favorite examples of this is arcade equipment from the 1980s, which was cycled into and out of arcades extremely rapidly owing to their massive popularity at the time. These machines were not really “built to last”, but since it was the 1980s, they were built. As a result, we can still experience the joy of an original arcade or pinball machine, which requires surprisingly little TLC to get it back to prime. Fast forward to 2003, when the Mars Exploration Rover – Opportunity was launched, and subsequently landed on Mars in 2004. This was a mission intended to last for 90 days, and by all accounts the rover was designed for that time scale as well. However, 14.5 years into the mission it has surpassed all expectations and certainly paid for itself many times over with the science it has enabled. Sadly, the massive Martian dust storm of the last month may have finally brought that mission to an end, by covering the solar panels on the rover and effectively putting it to sleep. NASA and outposts around the world are anxiously listening for any slight signal from the rover, but as days drag on this seems less and less likely. 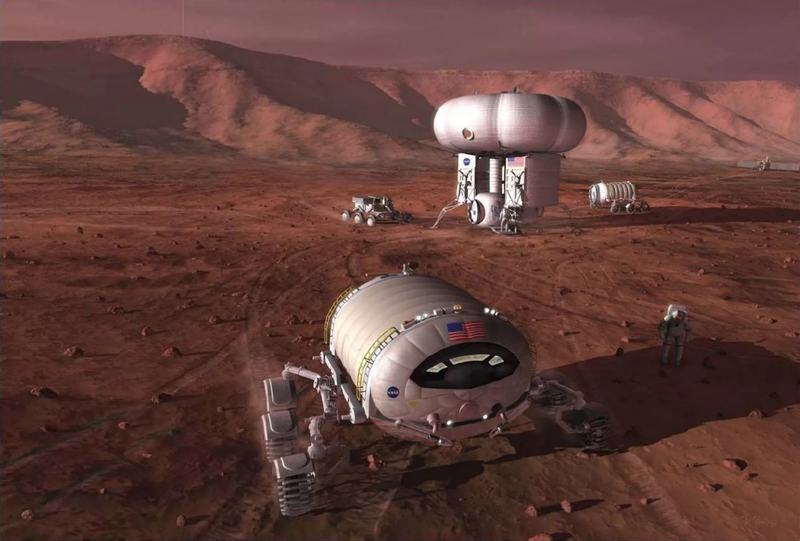 Steven Squyres (Ph.D Cornell 1981) who has been the principal investigator of the Mars missions for all this time, explains the situation in clear terms in a new article fittingly published in Cornell’s campus paper The Daily Sun. What is most likely to kill the rover will be the bitter cold it will be subjected to without power to stay warm. The -80 degree Celsius nights on Mars will subject the stalwart rover to component expansion and contraction – stresses which will be increasingly difficult to endure. Overall, everyone is more than satisfied with the mission outcome, it’s just that after a piece of science equipment is nearly old enough to get a drivers license, you get a little attached. So – we wish the rover the best. And we also look forward to a time when it has a place of honor in the first Natural Science museum to be built on the red planet. The good folks at NASA have conducted the first flight test of a new foldable heat shield on September 12th, with great success. This new concept is touted as a transformative technology that will enable larger and lighter ships to perform more advanced missions, not the least of which will be both cargo and crew missions to Mars with an enhanced ability to survive the rigors of reentry using a vastly slimmed down system. Any time you can save weight on a spacecraft, that savings can be redistributed to more critical areas, namely additional cargo and scientific apparatus (and pizza ovens). Called the Adaptive Deployable Entry and Placement Technology (ADEPT), a backronym worthy of Gary Busey, it consists of a 3D-woven carbon fibers arranged in a thick layer, formed on top of a structure which can flex and deploy the shield. This is in contrast to the traditional rigid, heavy, difficult to construct plastic shielding which has been used for decades. It’s this sort of novel and creative thinking which will allow us to accomplish more important and ambitious flight objectives, and is another great sign that key decision makers are aligned correctly to move us forward. You can check out a video of the heat shield here! A quick reminder, to anyone still looking tonight, that the next SpaceX launch is still on for 12:30AM EST, after a few time shifts backwards. 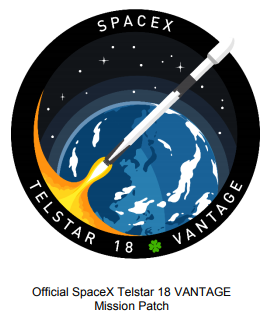 This is the Telstar 18 VANTAGE mission, which you can learn more about via the official press release from SpaceX. Be sure to tune in to the always-entertaining SpaceX webcast at least 10 minutes before the scheduled launch, for updates and commentary directly from their team! The good folks at NASA, ever managing to be on the leading edge, have just launched a competition encouraging teams to develop a system to convert carbon dioxide into glucose. Why is this important? Well, sugar-based biomaterials are plentiful on this planet thanks to our helpful plant life. That will not be the case as we set out among the stars! Developing bioengineering methods to create base materials that will be in short supply (such as easy to metabolize sugars like glucose) from materials that are in great abundance (carbon dioxide) will be a crucial step towards facilitating our successful advancement. Phase 1: Teams submit a design and description of a method to perform the stipulated conversion. Up to 5 teams will be awared $50,000 each, as will be announced in April 2019. Phase 2: Actually building a working system to perform the conversion. The successful team will walk away with $750,000. This new contest is part of NASA’s Centennial Challenges program, which was initiated in 2005, intended to directly engage the public in advanced technology development. Basically, NASA is being very observant and starting to crowd-source ideas and research, which makes a great deal of sense in our current world. To register for the competition, check out the official website! A planet-wide dust storm, which was first seen on May 30, 2018, is finally winding down on the windy red planet. NASA’s rover Opportunity, which is solar powered, has suffered a shutdown as a result of this storm – going into what amounts to hibernation to ride out the storm. However, that dormant period has been longer and more intense than originally designed to handle, so everyone is on edge waiting to see if we can get the rover back on line. Signals are being sent to the 15 year old rover, which is tucked away in Perseverance Valley, in the hope that once the batteries are recharged even a little, the unit will initiate recovery procedures. We’ll keep you posted on the status of this fan-favorite rover; and hopefully some readers of this site will one day visit it in a science museum with 38% the surface gravity of Earth. Initially scheduled for a late-August launch, the Telstar 18 mission has been pushed back to No Earlier Than (NET) September 9th. 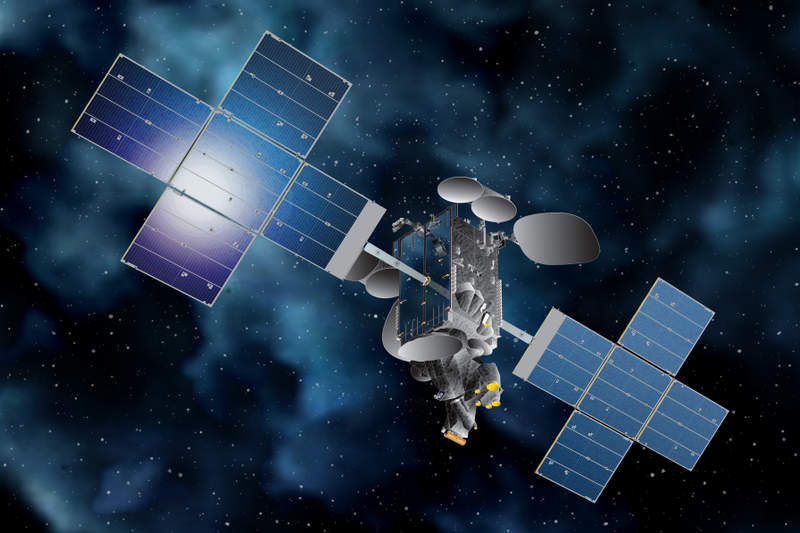 This is a follow-up mission to the July 22nd launch of the higher-numbered Telstar 19, allowing Telesat to further expand their coverage of the Asia Pacific region. Gunter tells us that the Telstar 18V is a communications satellite with two high throughput payloads, one in Ku-band and the other in C-band. It will be based on the SSL-1300 bus with an electrical output of approximately 14 kW. Perhaps my favorite spec is that it will have 4 × SPT-100 plasma thrusters. As for launch details, it is anticipated that the launch will utilize the new Block 5 B1049 first stage booster, which will take off from pad LC-40 at Cape Canaveral and then land on the Autonomous Spaceport Drone Ship “Of Course I Still Love You” at a position approximately 650 km to the East. As we get closer to this new launch time, we will continue to bring you updates and most importantly a link and a reminder of how to watch live! One of the great things about having a genius-level CEO who is hell-bent on pushing mankind into the world they expected to already exist and is a massive sci-fi fan, is that the design aesthetic for everything his companies do is very consciously ‘futuristic’. And why not? It is fantastic to boldly own the fact that we really should look like the Jestons by now, instead of something from the set of 1984’s Repo Man. A perfect example of this is the new Crew Access Arm (CAA) that SpaceX has installed on Pad 39a at Cape Canaveral. Seeing crew-based hardware going back up on this historic pad should make anyone familiar with recent history very excited, as it was from this very location that all Apollo missions to the moon, powered by the Saturn V, were launched along with many of the more recent Shuttle missions. Restoring that capability to American soil, through American inginuity is something we should all be proud of, and is something to be recognized and celebrated. From a broader perspective – I believe firmly that the exploration and development of space will be a unifying force for a fractured world. Certainly there will be some unexpected struggles, as there always are, but I think that humans need a sense of adventure and exploration. It’s part of our makeup. We are lacking that now, and spinning our wheels with reality shows and iPhone apps, and basically circling the drain without a shared purpose. Space will be that purpose, and I feel will allow us to lift up from the state in which we find ourselves and achieve the next, better stage of our enlightened development, together as one people.